When renting a car in Australia or New Zealand, it is very important to have quality car rental excess insurance coverage for the vehicle. You have several options available, and by comparing and contrasting the different types of insurance, you can have a better idea of what you might need. Many times, the credit cards you already have in your wallet will actually have collision coverage included on them. If you choose the right credit card to pay for the rental, you could actually receive coverage with zero deductible, or at least a very low deductible. This is quite different from the high cost of insurance through the car rental companies. The right card has the potential to provide coverage for the costs for which you might be liable, such as damage to the car, or even a theft but a lot of times does not cover the general exclusions such as windscreen, tyres, single vehicle accidents or undercarriage damage. 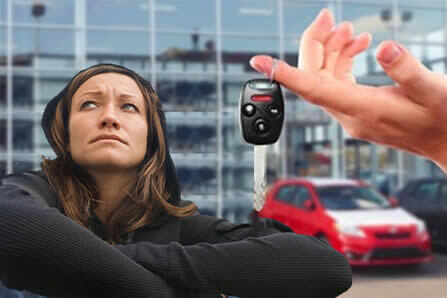 Another issue is that some that use this method of coverage for their rental vehicles have is that it can be a hassle to deal with the credit card companies. Still, given the amount that you could possibly save in the event of an accident, it does make sense at least to consider utilizing credit card coverage for the rental. Make sure that your credit card company offers this type of coverage, as some do and some do not. Look through the policies regarding the coverage it offers, and make sure it is applicable in Australia or New Zealand – or any country you might be visiting for that matter. In some cases, you may also have collision coverage available through your travel company. If you buy a travel insurance policy for your vacation through many companies in Australia and New Zealand, you will have the option of adding on insurance for your car rentals. However, it is important to make sure that the travel insurance policy that you are considering using actually cover all the normal exclusions that the car rental companies exclude, such as windscreens and single vehicle accidents. Of course, there’s always the option of buying your car rental excess cover (usually called CDW or Collision Damage Waiver) from the car rental company. This is something they will actually encourage you to do. It’s a simple solution since you can do it right at the counter. However, that does not necessarily mean it is the best solution. The cost of the insurance through the company is expensive, and could be close to the cost of the rental itself, which could double your overall expenditure. When you buy insurance through the rental company, you should not think that it will automatically cover the entire cost of damage or theft. Look at what your excess or deductible will be. It can be in the thousands in many cases. Car rental companies will sometimes offer an additional form of coverage that will drop the deductible to zero. Of course, this adds to the cost of your rental substantially. Dedicated car rental excess cover is also offered now by such companies as Tripcover and this can be less than half the cost of the car rental companies’ rates. 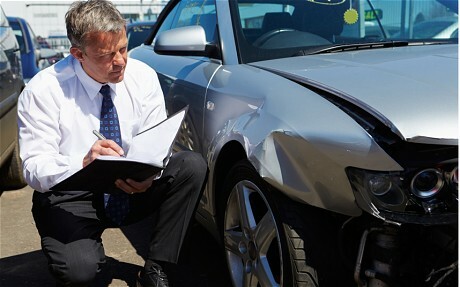 However there is also the hassle of making a claim with their insurance provider Allianz Global Assistance in the event of an accident. Take the time to research all of your options for your car rental insurance, and then choose the one that makes the best financial sense for you. This afternoon I received a phone call from the company I placed the car booking with. He quizzed me about why I hadn’t taken out insurance, and then became VERY pushy. He warned me I would be up for hefty costs if there was any damage. I stated I already had Insurance to cover my trip – and then he started! Told me that any other Insurance ‘wasn’t worth the paper it was written on’ and told me I would have nothing but problems if I actually had to make a claim. Told me that no other Insurance company offers 3rd party insurance for car hire. Went on and on about the perils of NOT taking out car insurance with them (the car hire company). I stupidly them said ‘I use the same insurance company that my business does’ – meaning that the business I work for, always uses your company. Straight away he jumped on this and said – ‘you have falsely stated this is a private hire’… and proceeded to tell me he would have to cancel the hire. He would barely let me explain! It took quite a few minutes to get through to him. I felt he was intimidating, pushy and in some ways, aggressive. Just thought I would let you know.CF. Hi CF I really appreciate this or any other feedback. their waiver (they can’t call it insurance). If I were you I would write him a very firm letter stating that you will not be using his services again. Ultimately that is what capitalism is all about and it sounds like his service was unsatisfactory to you. PS do you mind if I put you anonymous email on our blog along with my answer?